Tucked among a meticulously manicured, serene landscape, Marriott's Royal Palms is a gracious vacation ownership resort in the heart of Orlandos magic and excitement. Featuring spacious two-bedroom, two-bath villa rentals, this family-friendly resort is sure to be a true vacation home-away-from-home. Created with your comfort in mind, our villa accommodations feature separate living and dining areas, a fully-equipped kitchen, a large master suite with a king-size bed and oversized soaking tub, a second bedroom, and a furnished balcony or patio. Swim in the sparkling outdoor pool, visit the fitness center, or have fun with our on-site activities. 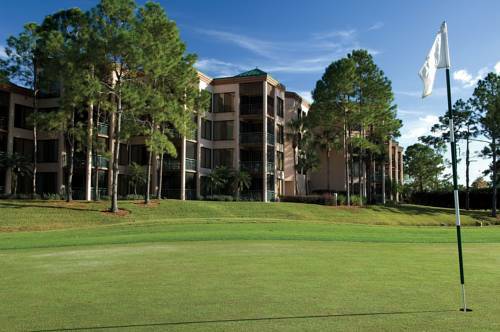 You also have access to all the amenities at the adjacent Orlando World Center Marriott . You will find this is the perfect setting for savoring your glorious days in vacation paradise. The Marketplace: The quick stop for an assortment of essential snacks and sundry items. Featuring Starbucks coffee.